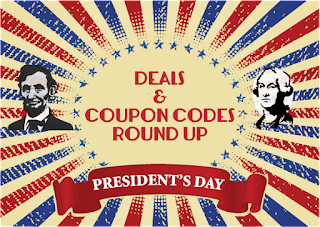 2015 President's Day Freebies & Deals Round Up! 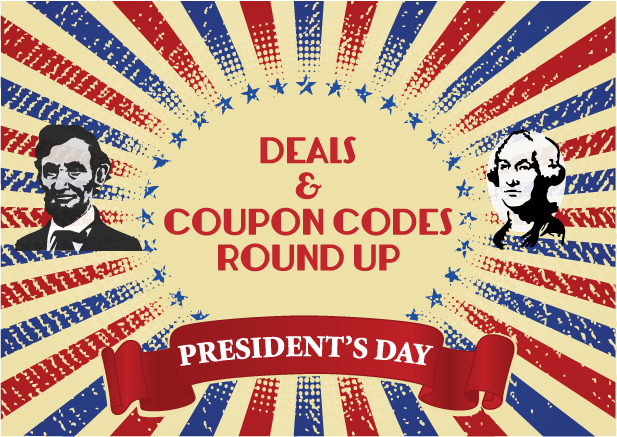 Here is a list of several deals you can find this Presidents Day. -123Inkjets: 15% off Compatible Ink, 10% Off All Other Products (excludes Hardware & OEM Items) Free Shipping on All Orders to the Contiguous US with code: "PRES123". Offer ends 2/17/15. -All You: Get ALL YOU at Our Lowest Rate of $0.63 an Issue TODAY! Get 1 Year For Only $12 and 2 Years For Only $15! Offer ends 2/16. -Banana Republic: 40% off your purchase, online & in stores, at Banana Republic. Use code: BRLOVEYOU. Ends 2/16. -Best Buy: Savings on select items during the 4 day President's Day Sale. -Cardstore: All Cards $0.99! Use Code: DDCCC5214. Offer ends 2/16. -Charming Charlie: Buy 1 Get 1 Free on all Sale Fashion Jewelry! Valid 2/12/15 - 2/18/15. -Crazy 8: Get an extra 30% off for savings up to 70% during Crazy 8's President's Day event! Offer ends 2/16. 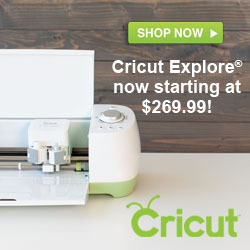 -Cricut: Cricut February Mystery Box only $39.99 + Free Shipping on all orders over $35 with code FREESHIPFEB. -Crocs: Take 25% Off Sitewide with code PRESIDENT. Offer ends 2/16. -DisneyStore: 25% off your purchase + Free Shipping on $75+ with code DISNEYPAL! 2/12 - 2/16! -Express: 40% Off Select Express Styles! 2/12-2/16. -Family Christian: 40% off any one regularly-priced item of your choice with code PRESIDENTS. Valid through 2/16. -Food Network Store: up to 70% off! 2/13-2/17. -Groupon: Extra 10% Off 3 Goods Deals with code: PREZ10. Valid 2/13-2/16. -Gymboree: Get 30% off new collections and an extra 50% off markdowns for savings up to 80% during Gymboree's President's Day Sale! Valid 2/12-2/16. -Hancock Fabrics: Save up to 50% Off on Anti-Pill Fleece Prints and more. Take 20% OFF on entire purchase by entering code: AZHTW. Offer ends 2/17. -Hartstrings: Take an extra 25% off with code 1145! Offer ends 2/16. -HSN: New customers, get 15% off your first purchase at HSN with coupon 142614. -Janie & Jack: Up to 60% off with additional 20% off sale styles. Offer ends 2/16. -Kmart: EXTRA Savings on just about Everything. Valid 2/13-2/16. -Kohl's: Take 15% off sitewide with code FEBSAVE15 Valid 2/13-2/16! -LivingSocial: $5 off $30+, $10 off $50+, or $25 off $100+ purchase at LivingSocial when you use code PRESDAY. Restrictions apply. Valid 2/15 12:00am ET through 2/16 11:59pm PT. -Lowe's: 10%-25% off Major Appliances $399 or more. Offer ends 2/18/15. -Old Navy: 20% OFF, online only. Ends 2/16. Restrictions Apply. -Perfumania: 20% Off Site Wide Sale Plus Free Shipping No Minimum! Use Code PRES20 at checkout! 2/13-2/16. -Petco: Up to 50% off sitewide. -PetSmart: Up to 50% off + Free Shipping on orders $49 or more. -P.S. from Aeropostale: Shop the President's Day Frenzy at P.S. from Aeropostale! Polo's and Shirts for $9, Tees for $4 and Jeans for $12! Valid 2.13.15 through 2.18.15! -PUMA: Get 30% off Training Apparel at PUMA with the purchase of any (full price or sale) women's OR men's evoPOWER or evoSPEED cleat + free shipping! Offer valid 2/12-2/16. -Robeez: Take an additional 15% Off all sale items. Code: J8S581. Offer ends 2/17/15. -Rue21: Up to 50% Off Everything - Yes, We Mean Everything! Ends February 16th. -Salt Life: 50% off sale items with code: SLCHIEF. 12/13 - 12/17. -Sam's Club: Great mattress deals during the Serta Mattress President's Day Sale - Feb 12-16! -Sears: EXTRA 5-10% off featured categories 2/15-2/18. -Sears Outlet: EXTRA 5% Off Almost Everything Online Only with code PRES2015. 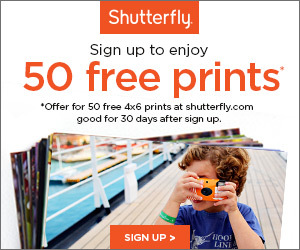 -Shutterfly: ALL customers receive 40% off everything with promo code 40FORU. with code: 40FORU. Valid 2/11-2/17. -Sports Authority: Presidents' Day Savings Event, Save up to 60%. Hurry, While Supplies Last! Valid 2/8/15 - 2/21/15. -Stein Mart: 50% Off Shoes & Boots Clearance, Men's Long Sleeve Shirts, Sweaters and Vests! Plus, 30% Off Women's Sweaters, Extra 20% Off 2 Sale Items with code SHOPSALE and an Extra 50% Off All Clearance Orders with code SHOPCLR! Offers end 2/16. -Stride Rite: Buy one get one 40% off + free shipping with Code: PREZ40. Valid 2/13-2/16. -Target Photo: Presidential Savings! Save 25% off on all Ship to Home orders and get Free Economy Shipping with code: PD25FS. Offer ends 2/17. -The Children's Place: Entire Site is 40 - 50 percent Off + Free Shipping on all orders! -The Home Depot: 10% OFF Appliances $396 or More. -The Scholastic Store: Enjoy 20% Off at with code: PRES2015. *Exclusions apply. Ends 2/23/15. -The Shelving Store: Save 11% SItewide with code: PATROIT11. -Timberland: Free Shipping on all orders 2/12-2/16. -TOMS Shoes: Take an additional 5% off any sale item with code EXTRA at TOMS.com/sale. Valid 2/14 through 2/27. -Under Armour: Free Shipping, No Minimum with code UAFREESHIP. Valid 2/13-2/17. -UNIONBAY: Free Shipping on Any Order. 2/16 only. -Vera Bradley: Free Shipping on all orders. 2/16 only. -Walmart: Save with Presidents' Day Online Specials! -Outback Steakhouse: Print this coupon good for a Free Bloomin' Onion with any purchase. Valid February 16th only. -Sonic: $1 Hot Dogs. No coupon required. Offer valid all day long February 16th. -Up to 50% Off "Far Cry 4"
Kroger Free Friday Download February 13th! Here is another great freebie from Kroger you won't want to miss. Today Only, sign into your Kroger Plus Card account and get the Free Friday Download for (1) FREE Juicy Fruit with Starburst™ flavors gum 15 ct. Limit 1 per household.